Christmas is my favorite time of year for city breaks in Europe. Imagine a steaming hot cup of mulled wine (glühwein), grilled sausages, and ginger cookies. Envision the craft stalls extending in all directions. Visiting a Christmas market should be on every traveler's Europe bucket list. 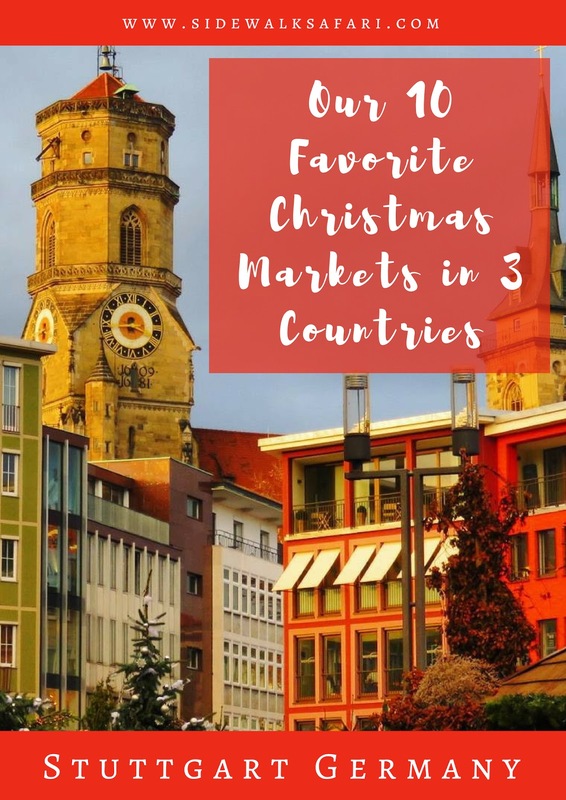 With low cost carriers like Ryanair and Easyjet on the scene, it's easier than ever to get a dose of holiday cheer at a European Christmas market. We've gone to at least one Christmas market every year for the past six years and consider ourselves Christmas market connoisseurs. 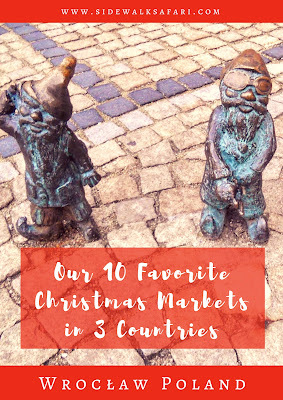 Here are my Top 10 picks for Christmas markets across Europe spanning three countries: Germany, France, and Poland. Cologne features no fewer than seven Christmas markets spread about town. When you consider that Bonn and Düsseldorf are just a short train ride away, Cologne is at the center of German Christmas market heaven. 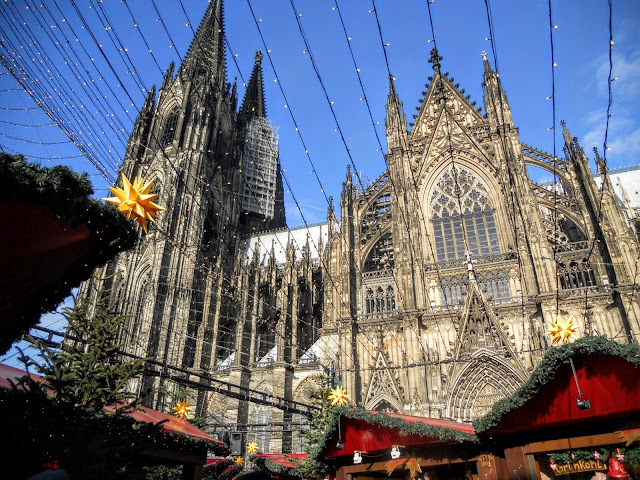 The largest and best Christmas market in Cologne lies in the shadow of the impressive cathedral (Der Kölner Dom). 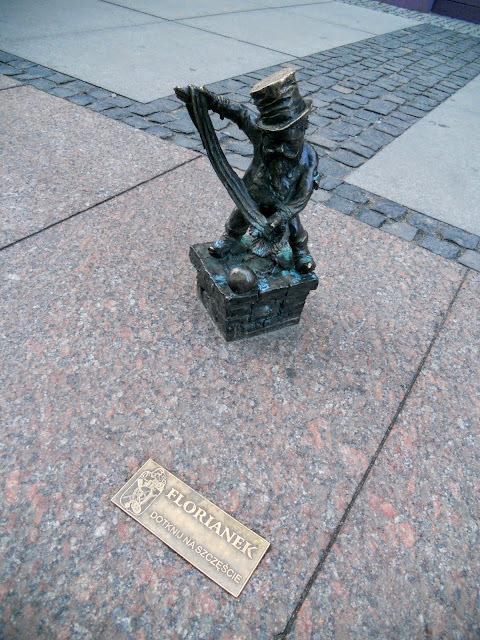 I recall eating the best potato pancakes I'd ever bitten into crisp and fresh out of the fryer while listening to a group of older German gentlemen sing sea shanties. You'll be spoiled for choice at the Christmas markets in Cologne. Just up the road from Cologne, the Christmas market in Bonn does not disappoint. 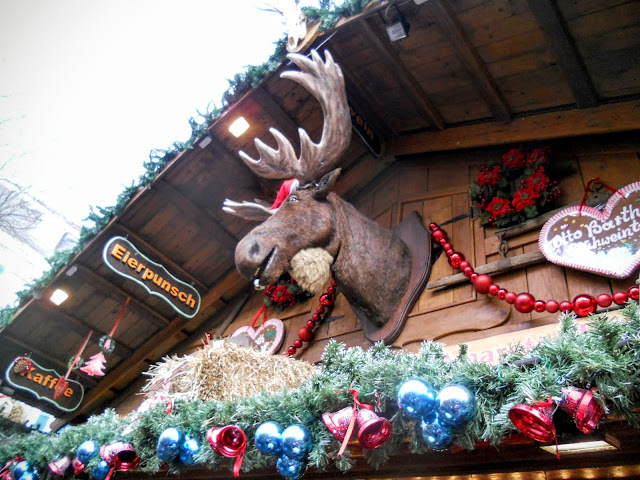 I'll never forget looking up as we were purchasing a glass of mulled wine and seeing a singing moose head above me. This guy sure is charming. I think of the moose every time I use the barrel shaped mug that I got at this stall. 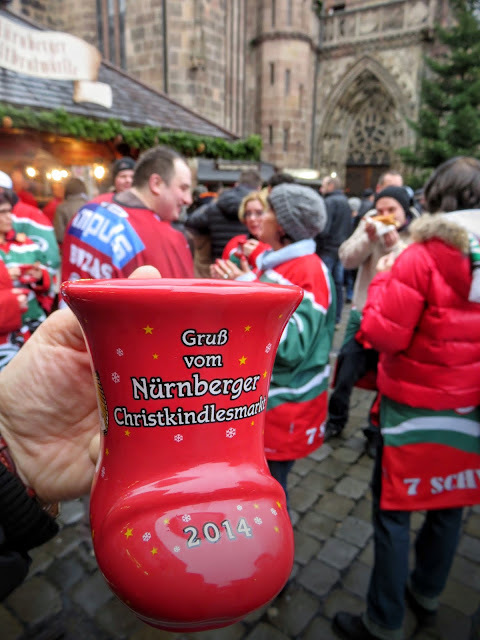 One of my favorite things about Christmas markets generally are indeed the mugs. 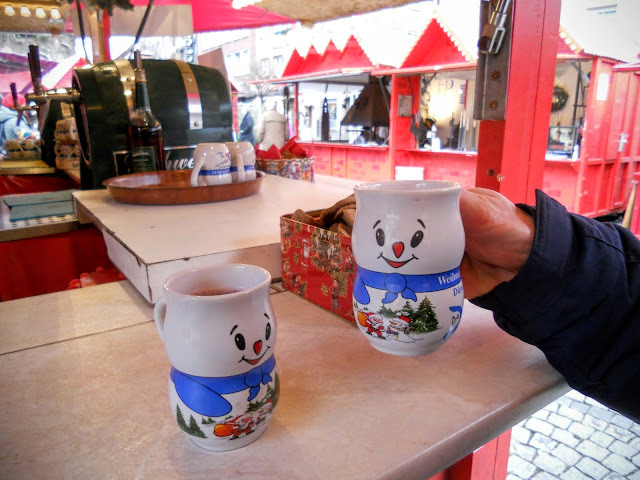 You pay a deposit for each cup of glühwein but if you want, you can keep the mug and forego the deposit. The deposit is usually about 2 EUR which is a great deal for a unique souvenir. 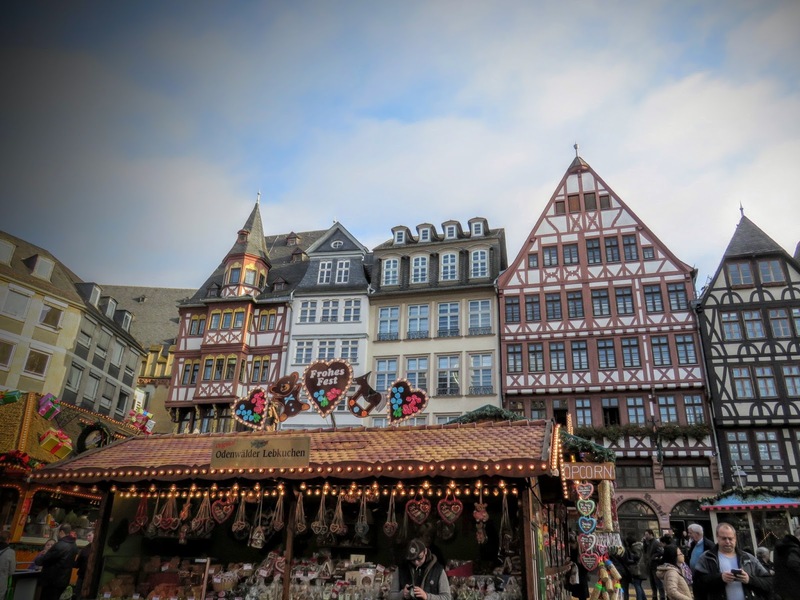 On the surface, Frankfurt may appear to be all business, but wander down to Frankfurt's old town and an extensive and magical Christmas market awaits in the shadow of the colorful step-gabled buildings. Christmas markets are more fun with friends and we have old friends in Frankfurt. We've visited a couple times for the holidays and toasted to our friendship with a mug of glühwein. 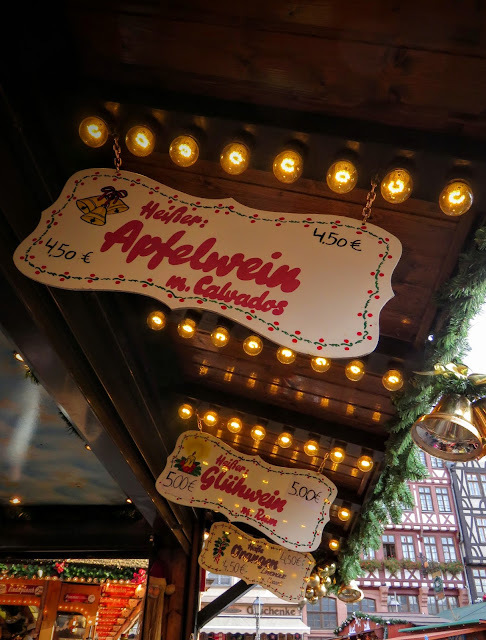 Frankfurt is also known for their signature apple wine (Apfelwein) adding a unique touch to the Christmas market here. 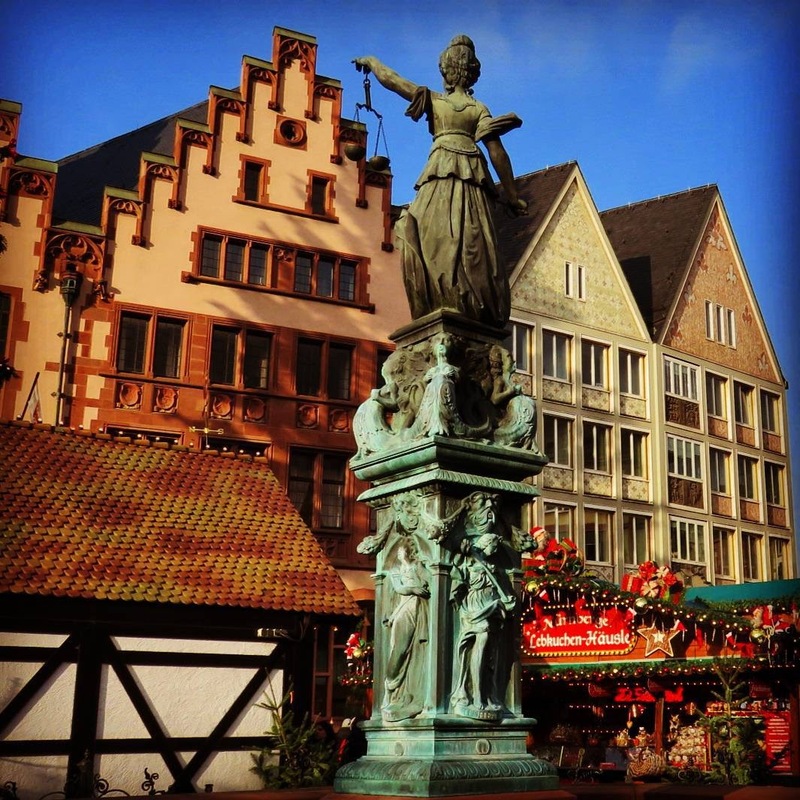 Nuremberg has probably the most famous Christmas market in the world. While some German cities (like Cologne) have several smaller markets, Nuremberg features one giant Christmas market radiating out from the Frauenkirche on the main square. Known as the Nuremberg Christkindlesmarkt, The Christkind (Christ child) plays the role of mascot of sorts for the market. The annually appointed Christkind makes an appearance and children revel in seeking them out. When we visited, we were approached by an online newspaper who were appointing the Christkind of the day. They plopped a flowing blond wig on my head (complete with shiny crown). I then underwent some scrutiny from curious locals who rightly called out the the Christkind didn't wear glasses. Once I'd taken off meine Brille, they snapped a photo that appeared in the paper. What great memories! Regensburg is just an hour by train away from Nuremberg. 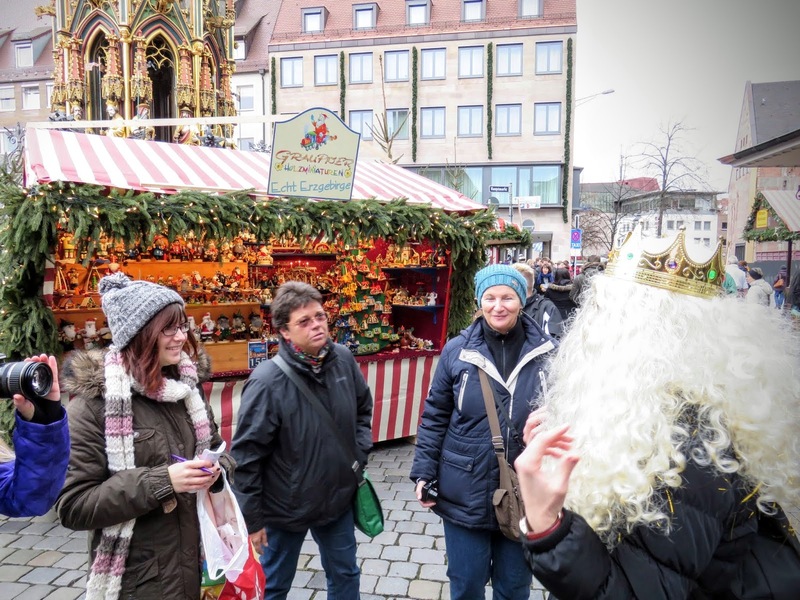 While Nuremberg has a fantastic Christmas market, its popularity means it can get very crowded. 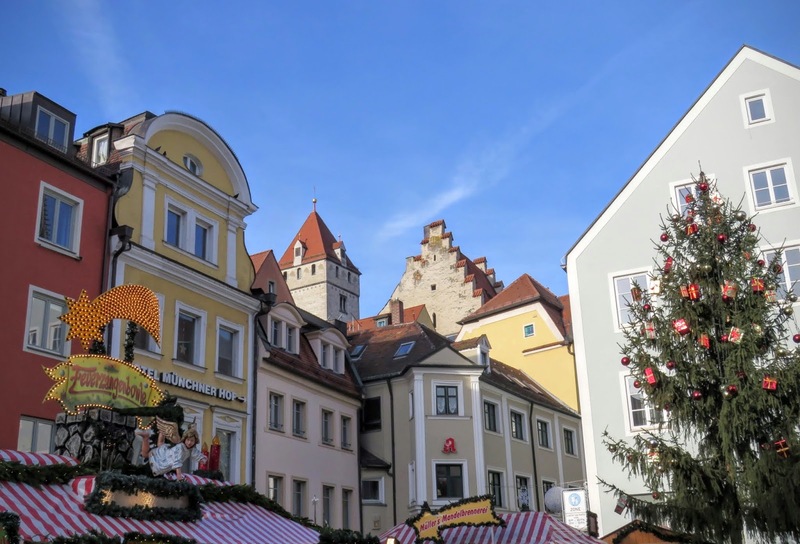 We really enjoyed our off-the-beaten-path experience at the Regensburg Christmas markets. Instead of one big market, Regensburg featured several smaller markets spanning both sides of the river. 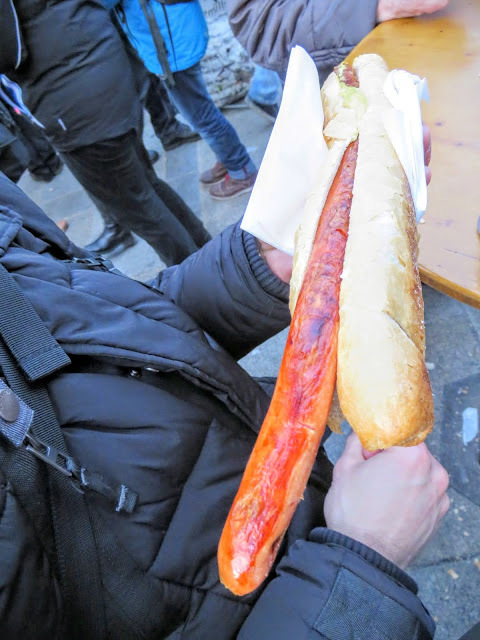 It was in Regensburg that I first encountered ein halber Meter Wurst (half meter of sausage). Definitely make sure you're hungry when you visit! Stuttgart is a very real German city. We spent the entire Christmas week hanging out there and had the opportunity to explore the Christmas markets with the locals. Wander the picturesque streets and steep in the atmosphere. When we visited, it was unseasonably warm and the organizers had even arranged for a snow machine to get everyone into the proper holiday spirit. 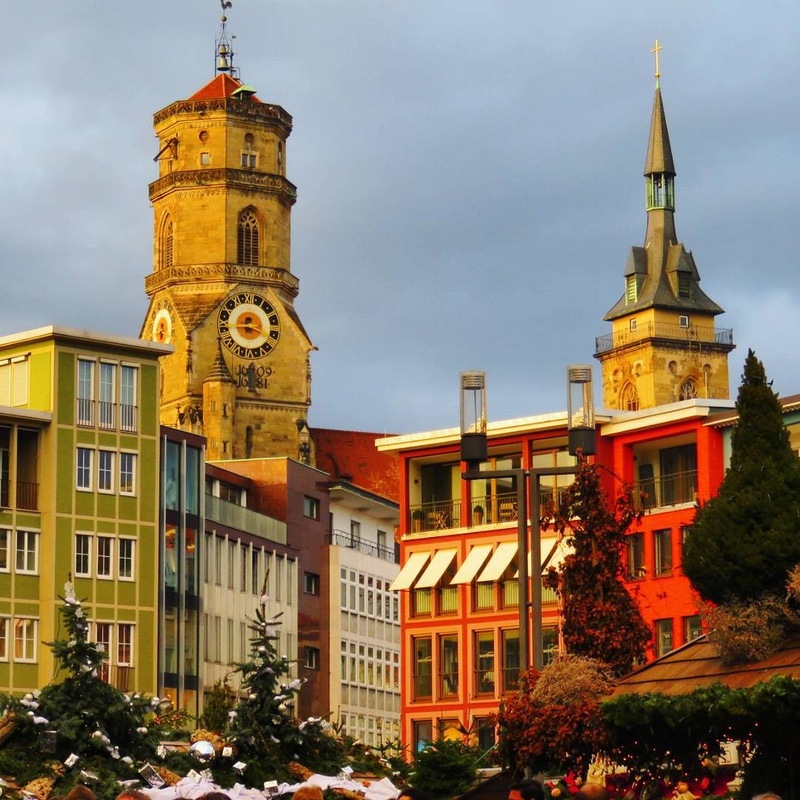 Stuttgart is also a convenient home base for exploring the towns of Germany's Black Forest (which also have Christmas markets as you can well imagine). 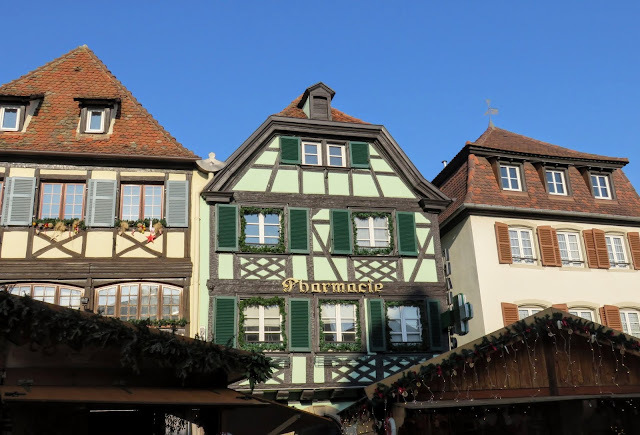 Our favorite Christmas market within commuting distance of Stuttgart was in Esslingen. Esslingen's Christmas market was special because of the Medieval theme. There was a section of the market situated in the shadow of the Old Town buildings that served food and drink from the Medieval period. Seeing people dressed in garb from the period added even more charm. In our experience, the best Christmas markets in France are the ones near the German border in Alsace. Colmar is the quintessential Alsatian Christmas market town. The half-timbred buildings decorated for the holiday season and lit up with Christmas lights make for a charming day out. There are a number of Christmas markets in the town and seem to go on for miles. Obernai is a small town on the commuter rail line from Strasbourg. We were staying in Strasbourg for the week between Christmas and New Year's but sadly the Christmas market was closed due to recent acts of terrorism in the country. Normally, Strasbourg is on many people's top 10 Christmas market lists but our visit was poorly timed given recent events and we didn't get to experience the market for ourselves. Instead, we eyed the different towns within commuting distance of Stasbourg and settled on Obernai. 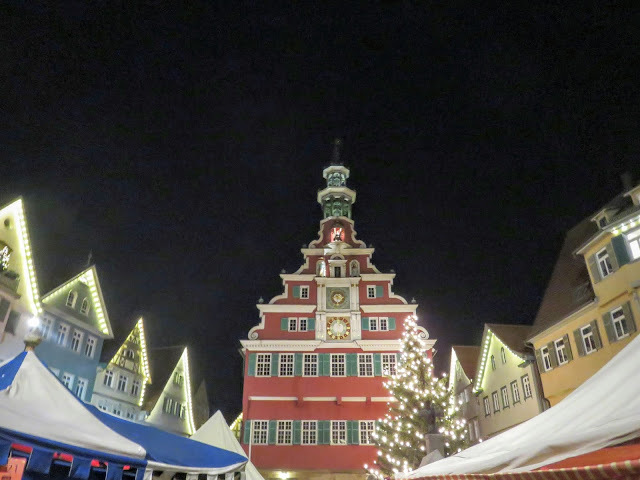 We didn't know much about Obernai before we set out but what we found was a charming village and Christmas market. 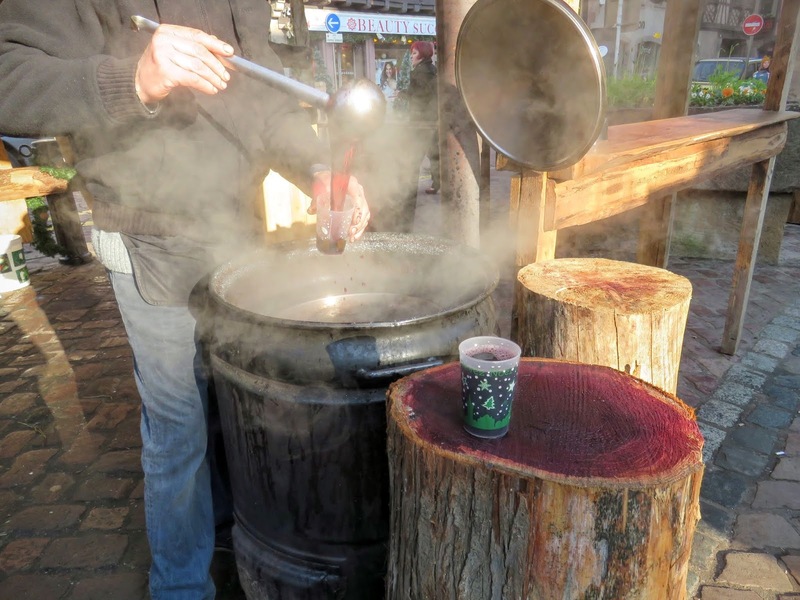 In the shadow of the half-timbred buildings which are the signature of the Alsace, we sipped mulled wine (vin chaud) served out of a steaming barrel. My only complaint about French Christmas markets is that they don't really do ceramic Christmas mug. Instead, our mulled wine was served in a cheap plastic cup (it was festively decorated, I'll give them that...). 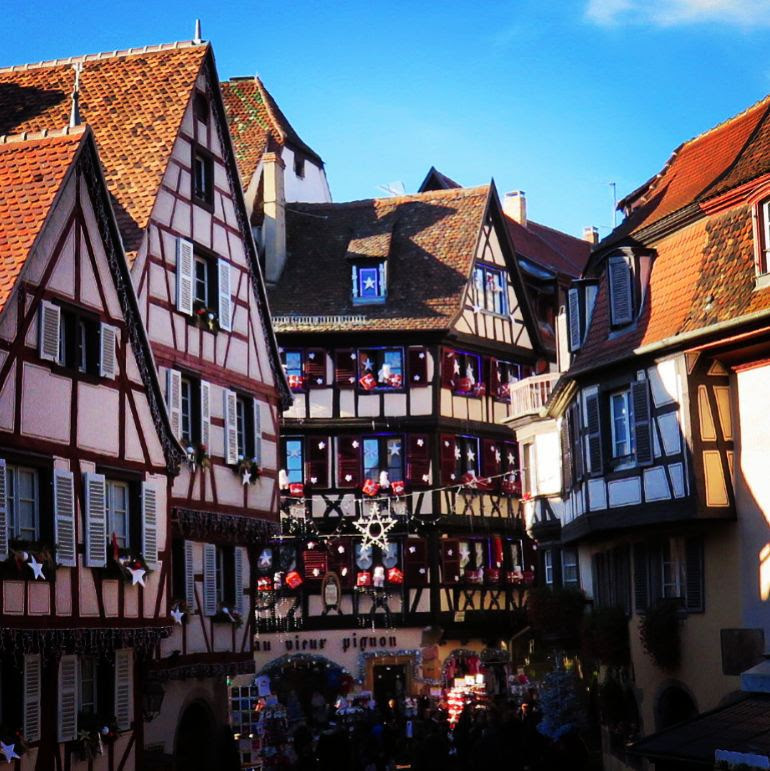 However, the charming atmosphere of the towns in Alsace more than made up for a lack of proper Christmas market mugs. Wroclaw, Poland has all the right ingredients for a fantastic Christmas market. The town has a decidedly German feel. Perhaps this is because Wroclaw was part of Germany at various points in her history. 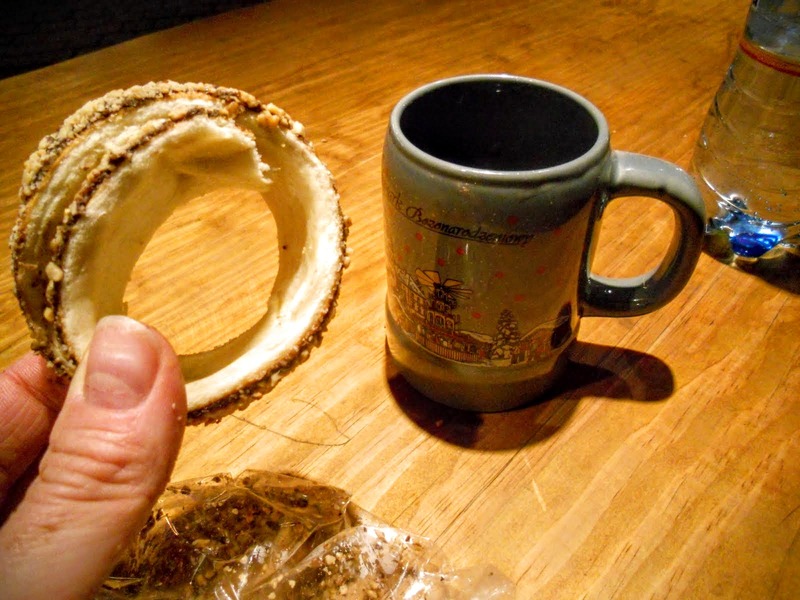 I loved that Wroclaw had everything you might find at a German Christmas market with a few extras. I picked up my obligatory mulled wine mug as a souvenir (check!). 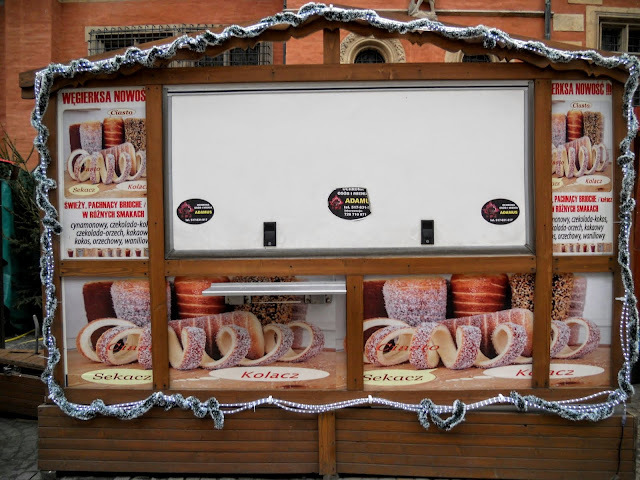 Wroclaw served these really addicting homemade chimney cakes in their market. Served fresh out of the oven and coated in chocolate and nuts on the spot, these long,cylindrical, pull apart cakes were a real treat. Beyond the Christmas market itself, the pubs and restaurants really got into the holiday spirit. 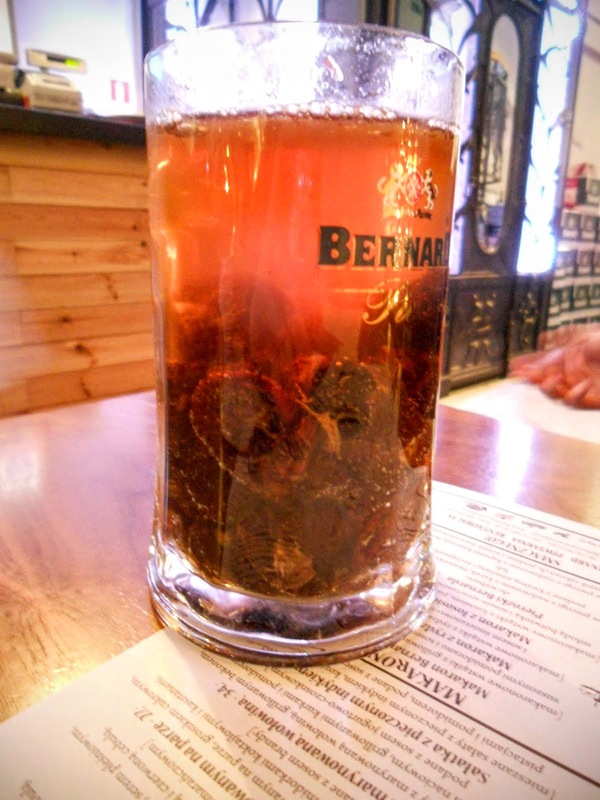 I was hanging out with some local colleagues who recommended that I try hot beer with plums. It was like nothing I'd ever tasted before yet felt like the spirit of Christmas. 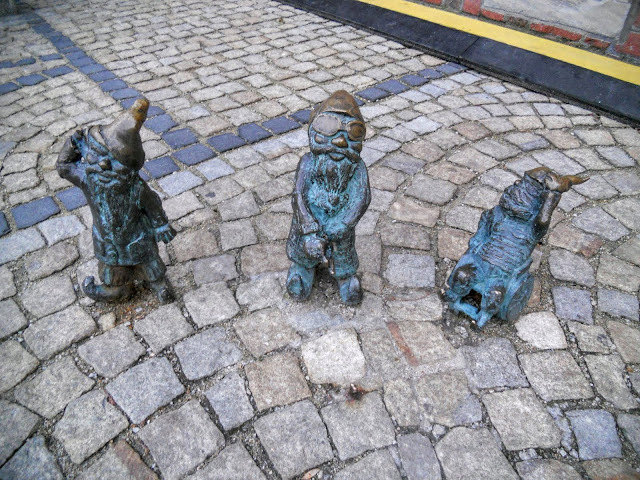 The other great thing about Wroclaw is that you can go dwarf hunting. Dwarves, gnomes, or elves; they all feel similar to me. When you get tired of the market, look for Santa's little elves immortalized in bronze all over town. Is a vacation city break weekend to a Christmas market in Europe worth it? As you can see from our experiences, we love the magic of Christmas markets and go every year. Christmas markets are a great excuse to explore a new city at a festive time of year. 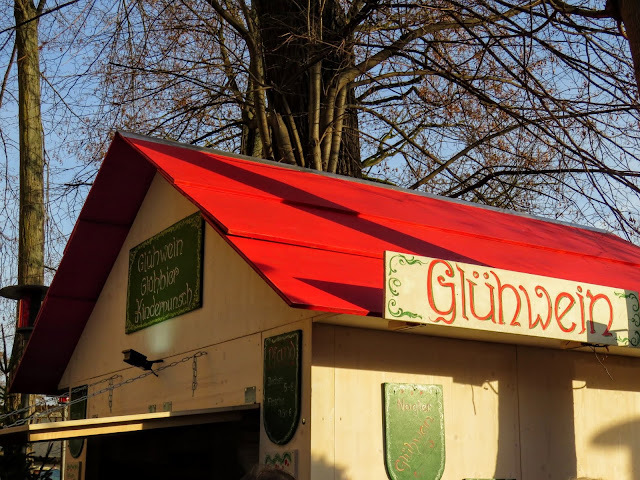 What are your favorite Christmas Market destinations around Europe? Get recommendations for top Christmas markets to visit across Germany, France, and Poland. A photo-rich post by travel blogger, Jennifer (aka Dr. J), from Sidewalk Safari.